China's central bank vice governor has called for efforts to promote the liquidity of the global market for Special Drawing Rights (SDR), the Xinhua News Agency reported over the weekend. The SDR market lacks liquidity, and "hedging and settlement costs are relatively high," so the infrastructure for the market needs improvement, Yi Gang, vice governor of the People's Bank of China (PBC), was quoted as saying by Xinhua. Yi was speaking at a forum during the IMF and World Bank Spring Meetings in Washington. In order to inject more liquidity into the market, Yi suggested that market institutions could increase the use of the SDR as a unit of account, which would encourage their participation in the SDR market. The SDR system was created by the IMF in 1969, not to serve as a currency but as a crucial reserve asset to provide liquidity to the global economic system and supplement member countries' official reserves amid global financial crises. Currently, the value of the SDR is based on a basket of five currencies - the Chinese yuan, the US dollar, the British pound, the euro and the Japanese yen. PBC Governor Zhou Xiaochuan pointed out in 2009 that SDRs, which have the potential to "act as a super-sovereign reserve currency," should have a greater role in reforming the international monetary system. Since China's currency was included in the SDR basket in October 2016, China's central bank has been actively promoting the use of SDRs as a unit of account, as well as for financial instruments and official reserves. According to Yi, China has started reporting foreign reserves and international balance of payment data in SDRs. In late October 2016, Standard Chartered Bank (Hong Kong) successfully issued one-year bonds denominated in SDRs in China's interbank market, two months after the World Bank started selling three-year SDR bonds. China will actively facilitate the use of SDRs in the bonds market, domestic news portal caixin.com reported on Saturday, citing Yi at the forum. The role of the yuan in pushing SDR usage is not very big yet, partially due to limited allocation, experts said. The IMF's weighting in the SDR of the US dollar, the euro and the yuan are 41.73 percent, 30.93 percent and 10.92 percent, respectively, according to the IMF website. The yuan will gain more prominence in the SDR, as China is playing an increasingly important role in the world's trade and economy, Liu Xuezhi, a senior analyst at Bank of Communications, told the Global Times Sunday. A WTO report on April 12 showed that China maintained its position as the world's largest exporter in 2016, when the world's second-largest economy exported $2.1 trillion worth of cargo, accounting for 13.2 percent of the global total. Also, China's economy powered more than 30 percent of the world's economic growth during the 12th Five-Year Plan period (2011-15), making it the largest contributor to the global economy during that time. The active promotion of the SDR is part of China's plan to boost the yuan's international use and gain a larger role in the international financial system, Liu noted. "Increasing its role in the international financial system is crucial for China, and could determine whether the country can grow into the world's largest economy," he said. Currently, the international financial system is dominated by the US dollar, which is the world's main reserve currency. 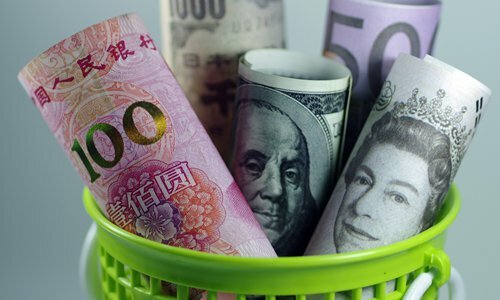 Yi emphasized at the forum that the use of SDRs is not aimed at replacing the dollar, and that the dollar's reserve currency dominance will be maintained for a long time, according to Caixin. Xu Gao, chief economist at China Everbright Securities, agreed with Yi, saying that the scale of the SDR is small and its scope is limited, so it cannot play a full role in reforming the international financial system. The IMF should issue policies to further support the SDR and make it more attractive to institutions, Xu told the Global Times Sunday.